If you love the ocean, you are going to love this 3BR/ 3BA condo. The clean decor makes this unit especially inviting. Escape to a life of luxery when you check in to the Mar Vista Grande! This gorgeous unit features 3 bedrooms, 3 full baths, with private master suite and elegant master bath. 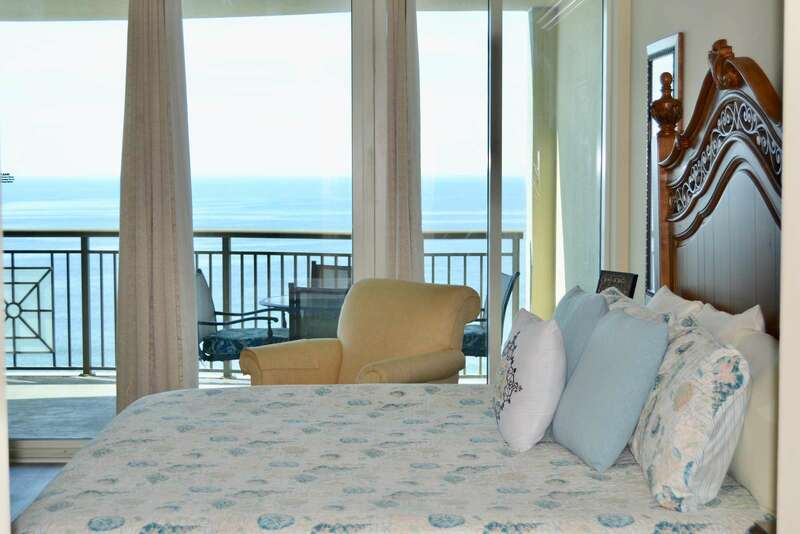 Master bedroom includes oceanfront views and balcony access. Master bath features double sinks, a granite counter top, wood cabinetry, walk-in ceramic tiled, shower with seat, whirlpool tub and linen closet. The gourmet kitchen is fully equipped with a granite breakfast bar, stainless steel appliances, wood cabinetry, breakfast bar and a full size stacked washer/dryer. 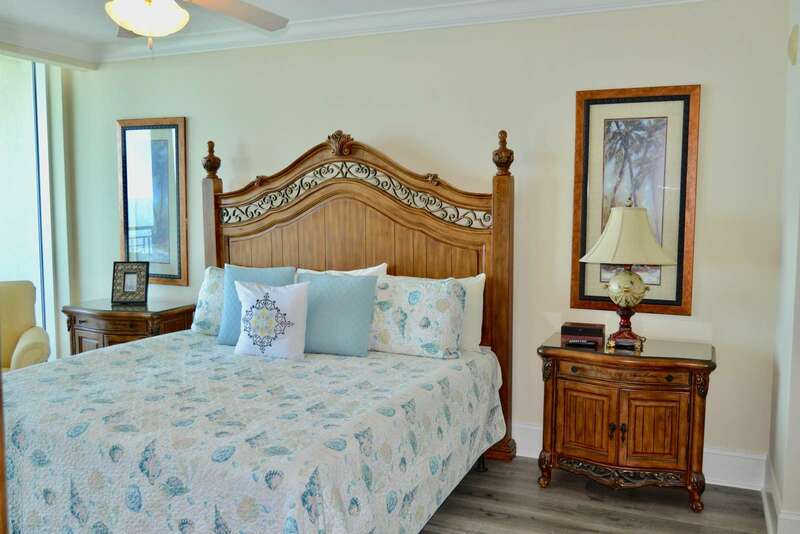 Living room features updated furnishings, flat screen TV and direct oceanfront views. Cable and wireless is included. The two additional bedrooms feature two queen beds each. The building amenities include heated and cooled enclosed hallways, four high speed elevators, a fifth floor state-of-the-art fitness center, indoor and outdoor pool areas with hot tubs and lazy river, private beach access, seasonal Tiki bar and four enclosed levels of parking. This property is located one traffic light from Main St. and the Highway 31 connector. 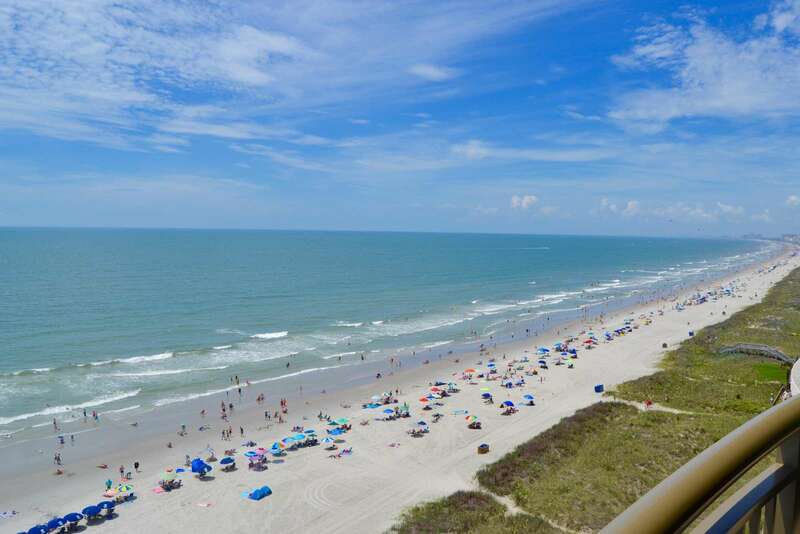 Minutes from restaurant row, outlet shopping, world renown golf, water sports, and all the Myrtle Beach area attractions including Barefoot Landing.